Continuing the theme. Yes, I am obsessed. They're all so delicious, these pants. I really really like number 3… so pretty. I like this obsession. Great selection! What a selection! Love love love them all! I'm beyond obsessed with printed pants. Amazing. 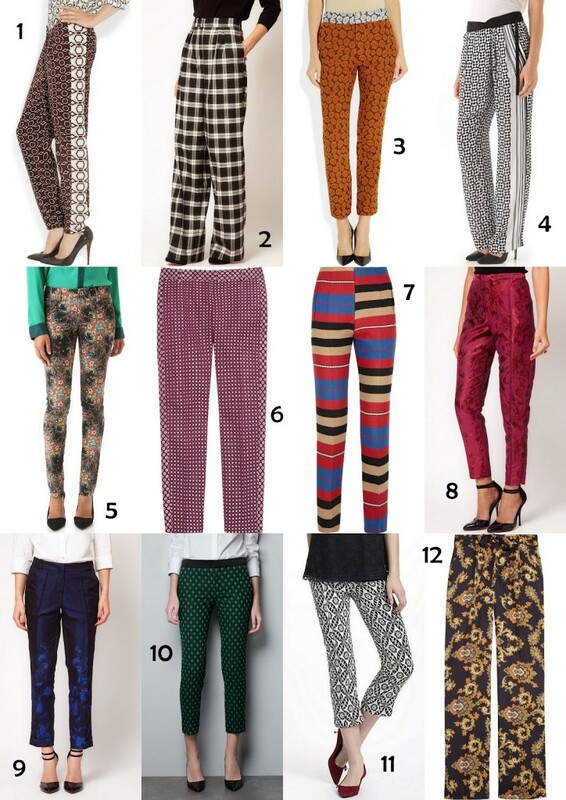 All of these pants are so incredible, but I never felt like I'm a pants person. I don't feel like I can actually pull them off, although there are a few styles here I'd love to have a go at. Also, your outfit in the last photo is pretty incredible! I love the stunning black and whites – so who is getting added to your closet? Very happy to see printed pants for this season. These are all beautiful. 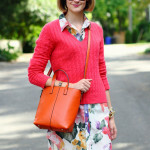 I'm loving printed pants too! So many great options everywhere.